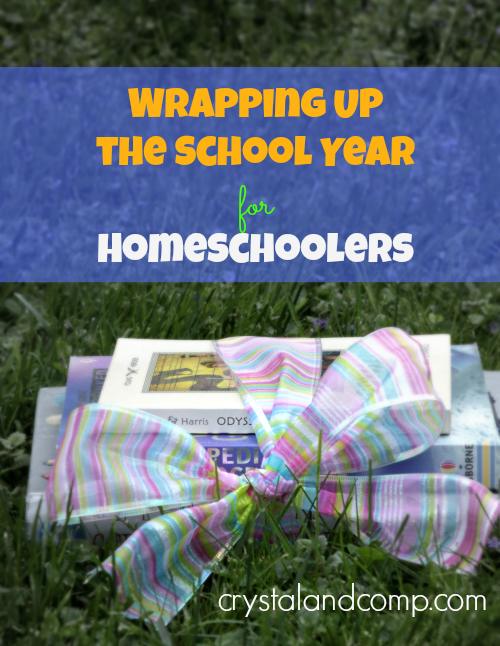 Every year when May rolled around, I looked forward to wrapping up our homeschooling year with my oldest son, and digging into planning the next year. Even though my 5 kids are in Catholic and public school now, I still look forward to planning our summer day trips and learning opportunities. Homeschooling my oldest has left me with a thirst for enriching my children’s lives as much as possible. Depending on which state you live in, most homeschoolers need to turn in some type of documentation to their local school district or superintendent. In my home state, Pennsylvania, I turned in a portfolio accompanied by a list of books and resources we used during the year and my affadavit for the following school year. I liked to include work samples from different subjects and pictures of our field trips and projects. If you’re new to homeschooling, check with your local homeschooling network and the school district about your state’s homeschooling regulations. Always check with both to make sure you’re not over complying with the regulations. You’ll find it helpful to know how other homeschoolers handle the regulations since there may be a range of ways to comply with the regulations. 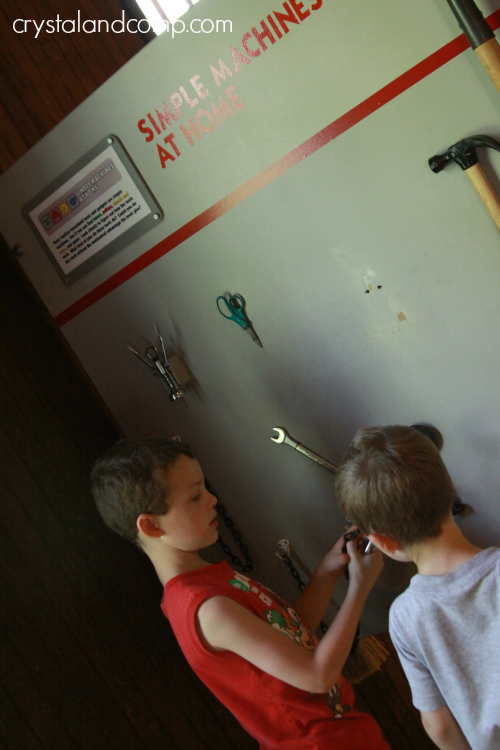 As homeschoolers, my oldest son and I did lots of hands-on projects. Not to mention all the artwork that came home from our homeschooling coop! As you wrap up the school year, you’ll need to decide what to keep and what to toss. After putting away my son’s best work in his memory box, I would lay out the rest of the work and take pictures for my personal archive. I also took pictures during the school year after we finished the bigger projects. When I had more kids and they created tons of artwork, I decided to make a yearbook of their art work. I took pictures of the art and uploaded them to Winkflash to create a very simple photo book. We set up an art gallery on the walls of the stairs leading down to our basement. Since the walls were already a little beat up, we decided this was the perfect spot to keep thumb tacking stuff. We leave a few extra thumbtacks up for the kids to hang out their work. 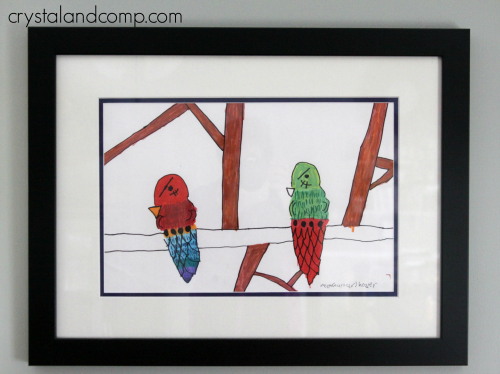 If your child does something spectacular, invest in having it professionally framed. (Michael’s Craft Stores always has coupons for 50% off framing.) My oldest son who didn’t draw much a beautiful picture of birds with markers in an art class. I had it professionally framed at Michael’s and hung it in our living room where it remains today. To me, summer was about taking a break from our regular homeschooling routine. Yes, we spent time visiting historical sites, or spent a day at the local science museum. We pulled out the paints and spent an afternoon or two messing about with them. My goal was to get our heads out of the books and into the hands-on learning without making a big deal about it. However, some academic skills need daily or weekly practice year round. Even now, I have my kids practice their math facts, reading, and writing during the summer. As a homeschooler, I found the almost daily 5 minute drills from Calculadder to be an easy way to maintain math competency. Besides bringing home stacks of books from the library, we listened to many tapes and CDs in the car on our weekly day trips. Books on CD are perfect for a quiet rainy afternoon spent crafting and painting. If you’re working on letter formation, Donna Young’s site provides free printables for kids learning to write and older kids needing to practice manuscript and cursive letter formation. Every year, my husband and I discussed whether we would continue homeschooling. To us, every year was a new decision made with an eye to our oldest son’s current needs. As he got older, we moved our son from a Montessori type of education to a semi-eclectic classical education supplemented with homeschooling classes and coop time. Even with all our kids in Catholic and public school, we look at their needs individually and yearly to make sure we continue to provide them the best education possible. If you haven’t decided about next year’s materials, make the decisions in the late spring and order your materials. Use the summer to review your materials and write out plans for the following school year. Remember to plan around big events like the birth of a baby, graduation, vacation, or First Communion. Donna Young has a wonderful site full of calendars, weekly and quarterly planners, along with household planners if you’re struggling with homeschooling and taking care of your home. How does your family celebrate the end of the school year? Barb is a mom of 4 boys and 1 princess who spends her day keeping track of Nerf guns, stuffed animals, and library books when she isn’t writing about all the frugality, organizing, cooking, and reading she manages to fit in between the crazy, loud moments Her idea of quiet time is a trail run in the woods. Barb can be found at A Life in Balance. Great tips for wrapping up the year. Every year we sort out our art projects and take photos of them. Each child has a memory card devoted to their work and it eliminates the mommy guilt I get from throwing something away. Now we have a way to keep ahold of the art and memories.